This master-planned OCEANFRONT golf, swim and tennis community offers a prestigious lifestyle with some of the best amenities on Florida’s Northeast coast. Located between the Atlantic Ocean and the Intracoastal Waterway in Flagler County, Hammock Beach offers breathtaking views with over two miles of beaches conveniently located on a quiet stretch of Scenic A1A. Hammock Beach expands over 1000 acres of meticulously maintained grounds surrounded by hundreds of acres of conservation and nature preserves. 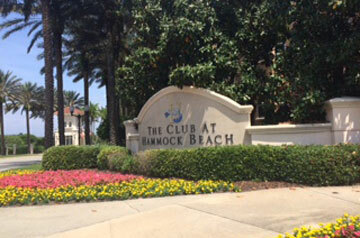 World-Class amenities at Hammock Beach include 24 hour security, gated entrance, various levels of club membership, a championship golf course, tennis, pool and fitness center, walking and bike paths, restaurants, private beach and more. If you’re looking for private and exclusive coastal living look no farther than HAMMOCK BEACH.